Cuts one and two are relatively easy to make on this big pumpkin. 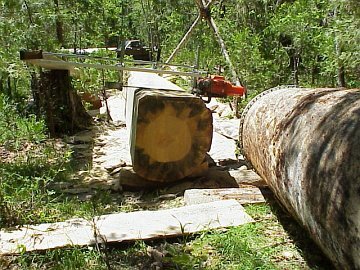 Debarking the large log helps with accuracy of cut and narrows the cut width considerably which increases efficiency. It is not absolutely necessary though.